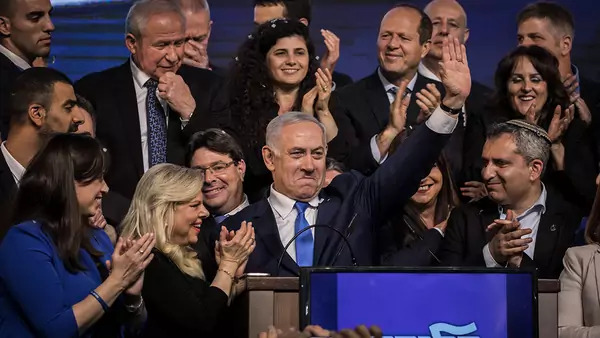 After his party’s slim election win, Prime Minister Benjamin Netanyahu will seek to renew his coalition and undertake a record fifth term in office. Steven A. Cook, CFR’s Eni Enrico Mattei senior fellow for Middle East and Africa studies, offers his assessment of the implications for Israeli-Palestinian talks. How could coalition negotiations over the next few weeks shape the next government’s policies toward Gaza and the West Bank? There is little reason to believe that either the coalition negotiations or the actual shape of the government will alter the status quo in the West Bank and Gaza Strip. The latter is and will remain largely a security issue. While the United States and Israel have recently considered ways to relieve its economic suffering, discussion of Gaza in both countries is framed by rocket fire and the danger to Israeli communities in the vicinity. When it comes to the West Bank, Israeli governments have consistently sought to make it impossible to separate the territory from Israel through infrastructure development and the expansion of settlements. It is true that leading proponents of annexation, such as Naftali Bennett and Ayelet Shaked, did not make it into the Knesset, but the likely government will still be well to the right. In addition, settler leaders have been able to frame the terms of debate in Israeli politics for decades, which will make any change difficult. Will Netanyahu be bound by his campaign promise to extend Israeli law to settlements in the West Bank—and will that change the status quo there? The status quo is the slow, undeclared annexation of the West Bank, though not necessarily the areas with large Palestinian populations. Whether or not Netanyahu feels bound to his pledge to annex these territories—which the settler community will no doubt do everything in its power to force him to uphold—the effect is the same. Israeli leaders cannot satisfy the Palestinians’ minimum requirements for peace without breaking their coalition. However, this is not necessarily because of a lack of meaningful negotiations between Israelis and Palestinians. Palestinian Authority President Mahmoud Abbas has proven himself to be intransigent, but the development of Israeli towns and cities in the West Bank has never depended on the progress of negotiations—the settler population grew throughout the 1990s when negotiations were ongoing. With the Israeli left diminished, is there a domestic constituency for a two-state solution? Large numbers of Israelis and Palestinians support a two-state solution. That said, Israeli and Palestinian politics make it hard to come to terms. Israeli leaders cannot satisfy the Palestinians’ minimum requirements for peace—a capital in East Jerusalem, the return of refugees, and a territorially contiguous state—without breaking their coalition. Similarly, the Palestinian president cannot satisfy Israel’s minimum demands for peace without eliciting opposition, especially from the militant group Hamas. The Hamas leadership has long maintained that there is nothing to be gained from negotiation with Israel and that violent resistance is the only way to achieve Palestinian rights. This makes it hard for Abbas to come to terms with Israel on anything less than his full demands. How are Palestinians likely to adjust their strategy in light of the new Israeli government and Trump’s expected peace plan? The Palestinians believe that the United States and Israel are trying to force them into submitting to the Trump administration’s plan, which few even inside the White House have seen. Given Trump’s decision to move the U.S. embassy from Tel Aviv to Jerusalem, which led the Palestinian Authority to break off relations with the United States, and the administration’s move to end funding for the UN agency for Palestinian refugees and USAID programs in the West Bank, it is hard not to draw the same conclusion. However, Trump and his advisors may underestimate the willingness of the Palestinians to resist these plans. Steadfastness in the face of adversity and injustice is an important part of Palestinian identity. There is nothing about the ideological composition of any likely Israeli government that would alter the Palestinian position—that they will not be party to a negotiation that further harms their society and national aspirations. Would the regional relationships Netanyahu has cultivated with Gulf Arab countries be jeopardized if the new government pursues annexation? It seems unlikely. Those relationships are the result of a confluence of interests related to the Iranian challenge. The Palestinian issue has been a brake on these relations, but it hasn’t halted them entirely. It is unlikely that the Gulf states will be opening embassies in Israel until the Palestinian issue is resolved, but other aspects of normalization, such as Israel’s recent delegation to the Special Olympics in Abu Dhabi, will likely continue.